A good way to establish new goals is to make them SMART, which stands for Specific, Measurable, Achievable, Relevant, and Timely. The SMART approach ensures you’ve defined your goals clearly and can attain them. Here is how it breaks down. Relevant: Is your goal important to your life right now? “You don’t want to set goals just to have a goal,” says Flashner-Fineman. “It needs to have a purpose, or you may find it difficult to stick with.” For instance, do you want to learn a language because it sounds fun, or do you want to connect with your family’s history or improve your cognitive health? Break big goals into smaller ones. They won’t feel so daunting, and you’ll be able to celebrate success along the way. For example, if you want to write your memoirs, focus first on attending a writing class or researching your family history. Reward yourself. Positive feedback is itself a reward, so share your accomplishments with friends and family or reward yourself with purchases related to your goal. Change your approach to challenges. For instance, if you want to learn to paint, but don’t think you can because you can’t see well, or can’t hold a small brush, then perhaps switch to another art form that’s better suited to you physically, like sculpting. Use visual reminders. Keep a photo related to your goal in constant view, like a vacation destination or the sign-up form for a 5K race. in favour of being sociable with few friends, that I care about. asymptomatic for >17 years. Thanks for several health tips, quite helpful. Completely agree with the above. In my experience it has been useful to structure all the goals on 3 levels. 1. BASE : easy to reach but absolutely to reach. No excuses ! Eg. BODY WEIGHT kg: BASE 70 max, META 68, STRIKE 66. Every year I uptated the targets for many objectives, taking into account the results I got the previous one. On my experience it works. I just stopped working at age 72 years at a job I’d been enjoying for 33 years. I was a manager. My entire staff and I had to create smart goals, keep adding info to them, update them, refine them, report on them – it was awful. Now that I can outrun goal neurosis, I will do so. I will take care of business as needed, but be the spontaneous person I’ve always wanted to be. Paying too much attention to goals is overrated. Haha! Loved your post, Sarah! I need better health goals and will try some belonging to other people posted here, but Sara, I get it. I’ve had a robust, interesting, always challenging life & career, and now I want nothing more than to throw out a lot of furniture, set up more than one quilting frame in my biggest room, and spend more time staying healthy in body, heart, mind and soul. And if I quilt with my Michigan aunt, I can get a lot of TV hockey time with the Red Wings. I also love these succinct Harvard health newsletters and 30-40 page booklets. As for stats, I am still visibly overweight but no longer needing diabetes meds, cholesterol is controlled…both thanks to our various gods. Such successes keep me me sane while my autoimmune system wrecks havoc of its own. This Website is rich with adequate pieces of information for anyone who wants to be and stay healthy. I really appreciate the health tips that I have seen so far. I’ll do my best with the help of God to go by the instructions so as to be healthy. Thanks. Setting goals at advanced age means after 60 are necessary for having a healthy & Happy further life. Goals should be related with health issues as well as further professional issues which give encouragements. But most important should be health oriented. Marsha D. Benshir, O.D., F.N.O.R.A. As a 62-year-old who is currently preparing to test for SCUBA certification, I resemble these remarks! I can’t do much of what was easy at 20 or 30 or 40 but I can certainly learn new skills that I will enjoy. Most people don’t know how to look forward when they have a list of “used to do” activities that are too difficult as they age. Healthcare professionals need to be more aware of this and know how to counsel their patients and direct them to resources in their community for activities that will be enjoyable and stimulating. The first rule for staying healthy is to stay physically active. The second rule is to unplug the TV or PC, or at least set reasonable limits to passive entertainment. If your patients are “plugged in” they are they are effectively turned off physically and mentally. With the modern day tools available, one can really track his progress of whatever one wish to do. Enjoying every stage of the progress is the best approach to life. 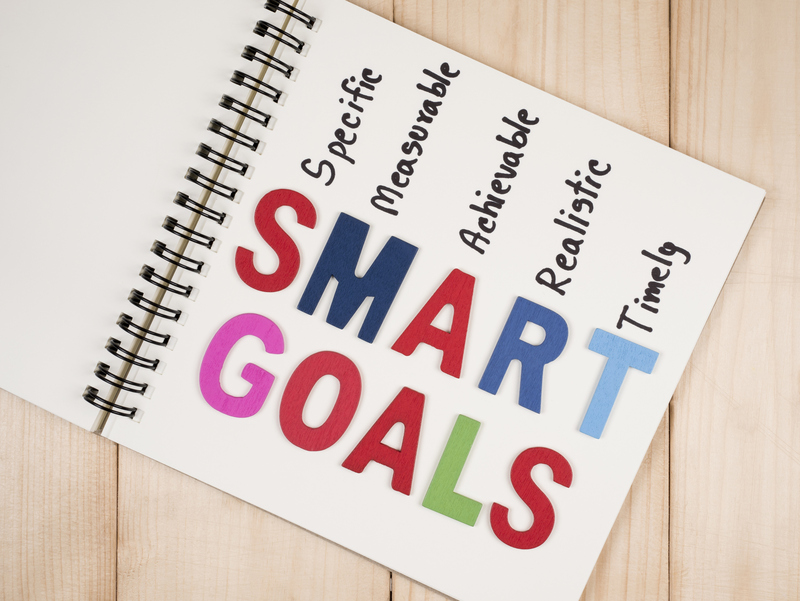 SMART Goals are key to success, but achieving the same is daunting task. Hence one need to be very conscious of thing. Managing calender is one of the most important tool for one’s success. Calender reminds you what you should do once the plan is made. Every activity reminders are also the key for that. Health, wealth or any other Goal must be planned on that basis. Goals are important at any stage in your life. It’s also important to set realistic ones. Goals that you can attain.